Nic Robertson, Paul Cruickshank and Tim Lister, “Documents give new details on al Qaeda’s London bombings,” CNN, April 30, 2012, http://www.cnn.com/2012/04/30/world/al-qaeda-documents-london-bombings/. “Report of the Official Account of the Bombings in London on 7th July 2005,” United Kingdom Home Office, May 11, 2006, 15, https://www.gov.uk/government/uploads/system/uploads/attachment_data/file/228837/1087.pdf. Between 2001 and 2003, Tanweer studied sports science at Leeds Metropolitan University where he received a Higher National Diploma—a higher education qualification in the United Kingdom.“Report of the Official Account of the Bombings in London on 7th July 2005,” United Kingdom Home Office, May 11, 2006, 14, https://www.gov.uk/government/uploads/system/uploads/attachment_data/file/228837/1087.pdf. Tanweer then worked at his father’s fish and chips shop in Leeds and did not pursue a higher degree due to a reported lack of financial aid.“Report of the Official Account of the Bombings in London on 7th July 2005,” United Kingdom Home Office, May 11, 2006, 15, https://www.gov.uk/government/uploads/system/uploads/attachment_data/file/228837/1087.pdf. While Tanweer worked for his father, he became more involved in local Islamic centers and is believed to have met 7/7 mastermind Mohammad Sidique Khan through Khan’s youth work in the Muslim community.Shiv Malik, “My brother the bomber,” Prospect (London), June 30, 2007, http://www.prospectmagazine.co.uk/magazine/my-brother-the-bomber-mohammad-sidique-khan. The men’s social lives centered primarily on attending mosque, youth clubs, gyms, and an Islamic bookshop in Beeston.“Report of the Official Account of the Bombings in London on 7th July 2005,” United Kingdom Home Office, May 11, 2006, 15, https://www.gov.uk/government/uploads/system/uploads/attachment_data/file/228837/1087.pdf. In April 2004, he received a “caution” from police for disorderly conduct, though there is little information on this incident.“Report of the Official Account of the Bombings in London on 7th July 2005,” United Kingdom Home Office, May 11, 2006, 15, https://www.gov.uk/government/uploads/system/uploads/attachment_data/file/228837/1087.pdf. During this time, Tanweer came onto the security service’s radar during a separate surveillance operation, though authorities did not investigate him because there were “more pressing priorities at the time,” according to the Home Office’s report.“Profile: Shehzad Tanweer,” BBC News, July 6, 2006, http://news.bbc.co.uk/2/hi/uk/4762313.stm; Ian Cobain, Richard Norton-Taylor and Jeevan Vasagar, “MI5 decided to stop watching two suicide bombers,” Guardian (London), May 1, 2007, https://www.theguardian.com/uk/2007/may/01/terrorism.politics2. “Report of the Official Account of the Bombings in London on 7th July 2005,” United Kingdom Home Office, May 11, 2006, 19, https://www.gov.uk/government/uploads/system/uploads/attachment_data/file/228837/1087.pdf. Duncan Gardham, “Life of July 7 bomber Shehzad Tanweer celebrated by family in Pakistan,” Telegraph (London), July 7, 2008, http://www.telegraph.co.uk/news/2264298/Life-of-July-7-bomber-Shehzad-Tanweer-celebrated-by-family-in-Pakistan.html. 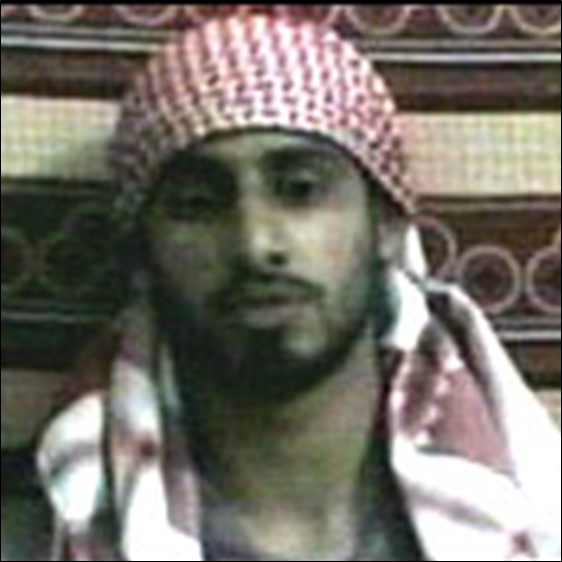 On July 6, 2006, on the eve of the first anniversary of the bombings, al-Qaeda released Tanweer’s martyrdom video on an Islamist website. The video included statements from then-al-Qaeda-deputy Ayman al-Zawahiri and American-born al-Qaeda propagandist Adam Gadahn. In his martyrdom video, Tanweer issued a warning to the west, saying, “What you have witnessed now is only the beginning of a string of attacks that will continue and become stronger.” According to British police, the timing of the release coincided with the anniversary of the 7/7 bombings to cause “maximum hurt.”“Video of 7 July bomber released,” BBC News, July 6, 2006, http://news.bbc.co.uk/2/hi/5154714.stm. Place of Birth Bradford, U.K.
“What you have witnessed now is only the beginning of a string of attacks that will continue and become stronger.”“Video of 7 July bomber released,” BBC News, July 6, 2006, http://news.bbc.co.uk/2/hi/5154714.stm.